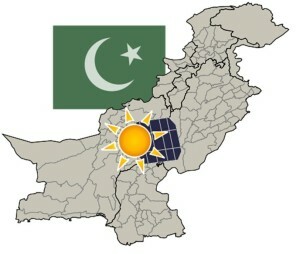 Clenergy, a company specializing in solar energy and its associated technologies, has announced its partnership with TBEA SunOasis to provide the largest solar power project in Pakistan with the technology it needs to take form. The project represents Pakistan’s most aggressive step into the renewable energy sector and highlights the country’s growing interest in clean power and distancing itself from fossil-fuels. Pakistan has an economic and environmental interest in clean energy and has been showing a particular interest in solar power. Clenergy will be supplying mounting structures that will support the project’s photovoltaic modules. The company will supply mounting structures for approximately 40 megawatts worth of the project’s maximum capacity, which is 1,000 megawatts. By the end of this year, the project is expected to begin producing 100 megawatts worth of electrical power and Clenergy’s mounting structures will help the project achieve this goal. Pakistan has struggled with severe energy shortages for some time now. Hydropower and thermal energy systems are struggling to meet the country’s needs and more conventional forms of energy are falling short of expectations. The issue has become so problematic that Pakistan’s utilities have been load shedding for up to 18 hours a day. This has resulted in long lasting and frequent blackouts throughout the country. A stronger focus on solar energy may help resolve some of Pakistan’s energy issues while also addressing some economic matters. Conventional forms of energy, such as fossil-fuels, are becoming more expensive, making clean energy more attractive. New energy projects mean new jobs, which could be an economic boon for those that are looking for work. A greater focus on clean energy will reduce the need to import fossil-fuels from other countries, further limiting Pakistan’s expenditure on energy in general. The problem, however, is that renewable energy is still quite expensive, with even small scale projects requiring a significant investment.